home Movies & TV Shows When is Orange is the New Black returning on Netflix? Everything You Need To Know About the Final Season! The sixth season of Orange is the New Black’s served up a shattering finale; Know what to expect from the seventh. With Blanca surprisingly carted off to an immigration detention center, Taystee going down for a murder she didn’t commit and the show's lead, Piper being granted an early release, this Netflix's original has now left the cliff hanger with a statement about racial imbalance in America. And so it is ought to follow, season seven will now be unfolding Piper’s path after prison as she navigates the outside world – while less fortunate inmates remain behind bars. Debuted on July 11, 2013, Orange Is the New Black has been on the Netflix for the last five years. The series is one of the streaming platform’s most popular original programs, a silver-wares juggernaut, and now has become a pop culture sensation in the TV history. Yet it is not done with the fans with only its six seasons since the Jenji Cohan's creation still has that one final season of it's for the ultimate cessation in season 7. Based on Piper Kerman’s story of the same name, the series unfurls the fate of Piper Chapman, a rich girl who is sent to prison for a 10-years-prior drug trafficking crime, as she steers her rest journey through the criminal justice system. Kerman’s former upper-class, Anglo-Saxon's lifestyle is then challenged by fellow detainees around her, who subsequently expose her to worldviews far beyond her own. For six seasons, Piper and her fellow Litchfield Penitentiary inmates have gone through the trouble of prison life, from abusive situations with guards to romantic personal relationships to pregnancies to addiction to even the officials’ brutality. All of Season 5 was predominantly centered around the police’s riot at Litchfield after Poussey was murdered by a guard, with Season 6 then being a return to the show’s normal structural form, though still focusing on the fallout of the riot. Given how the show last ended with Season 6 finale, it looks like Season 7 will follow in Season 5's footsteps and perhaps will again experiment with its conventional storyline but this time with an eye on offering a resolution to the characters' story arcs. In the meantime, here’s everything we know about Orange Is the New Black Season 7 so far. Season 7 Will Indeed Be The Series’ Denouement But As To When? The news was confirmed by Netflix in October after rumors started spilling that series creator Jenji Kohan and star Taylor Schilling was getting ready to say goodbye to the series. Although the show may be ending its run, it’s still got a lot of stories to tell with a lot of loose threads yet to be weaved together. On the other side, one more question overriding is the show’s very release date which hasn’t been a word as of yet, but considering its previous on-air routine, we can probably expect a premiere in summer 2019. 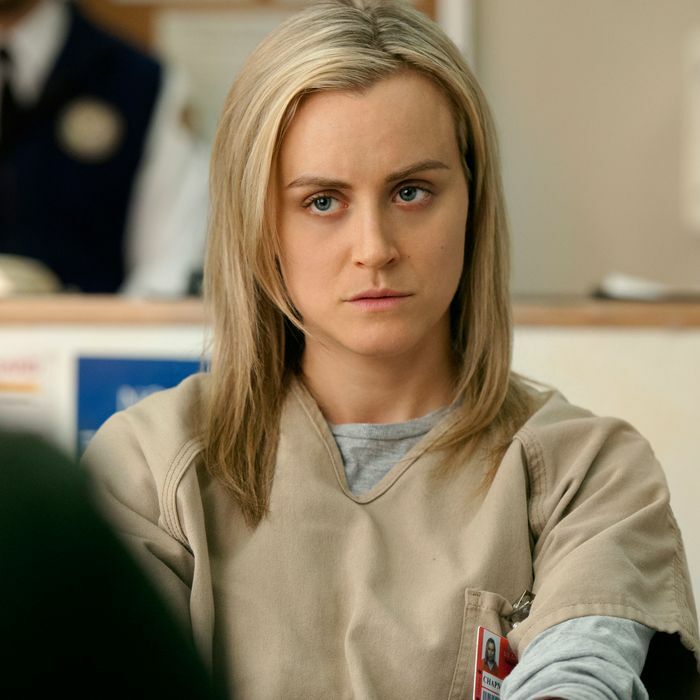 Piper Chapman (Taylor Schilling) was finally set free of the prison in the Season 6 finale. In addition, the show is prominently focused on Piper, which may bring the queries what the project might look like without her. But it has been confirmed that will be back, and her release is an opportunity for the series to expand further. "[Showrunner Jenji Kohan] wanted to be able to tell stories about post-prison,"
"It wasn't just a season-six end, it was partially about getting into the arc of where Piper goes. It's about what is significant about the criminal justice system and what is significant about Piper's story and journey, so there's plenty to be told. In my mind, it feels like our Piper has sort of been an Alice in Wonderland, and now she's somersaulting out of that world,"
Though Schilling will return for Season 7, this might be the last time we see Piper, since Taylor has hinted she's "getting ready to say goodbye" to the character. "It's a very kind of surreal time. It's as surreal as it was when the thing came out of the gate and was so powerful those first few seasons. It's equally as surreal now to be ending it all," said the lead actress to the THR. One other thing that can’t be missed in an upcoming season is the Piper and Alex’s last showdown given their history of romance and Alex being the reason Piper was ever incarcerated in the first place. But after Kerman finally ditched her at-home fiance Larry (Jason Biggs), and things with Alex heated up, the two eventually settled into a healthy domestic partnership. 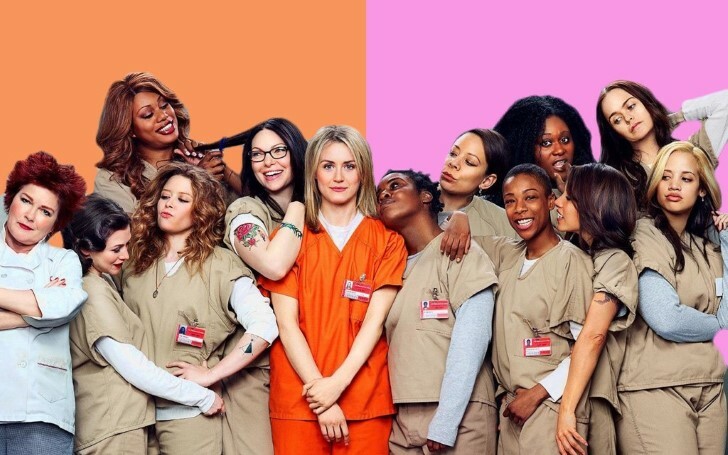 That further blossomed into a prison marriage before Piper's release, with Nicky (Natasha Lyonne) officiating. And now that they're married but physically separated, what will become of their relationship? Last time we saw Alex, she was getting back into her old drug hustling ways in Season 6 much to the truce she made with Carol, which also might be the reason she is going to survive the rest of her four-year sentence without Piper around. However, that certainly is not going to bode well for the marriage. Piper wasn't the only inmate to get early emancipation in the Season 6 finale. 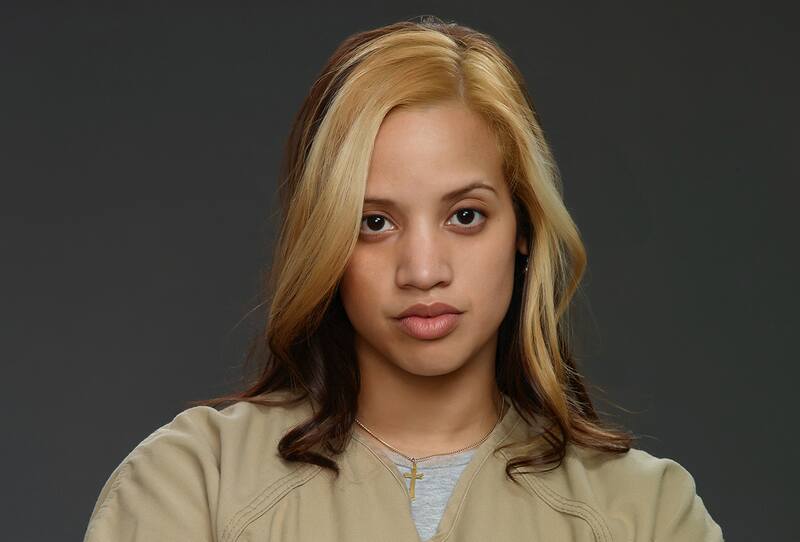 Sophia (Laverne Cox) and Blanca (Laura Gómez) were also given somewhat the same fate. While Piper and Sophia were seen reuniting with their families, Blanca was handed over to ICE and sent to less prison-like immigration detention. According to The Hollywood Reporter, Gomez -- who is an immigrant from the Dominican Republic herself -- is currently working with the Season 7 writers to further expand Blanca's story. "The fact that we are dealing with a situation so intense in our current political climate -- it felt almost dangerous to me, So I decided I was going to embrace that and use it for this character," said the 40-year-old actress. Most of the Litchfield women had heavy and darker storylines in Season 6. Taystee being wrongfully convicted of second-degree murder for killing a corrections officer in the riot and hence sentenced to life in prison; Daya developing an addiction to heroin, and Suzanne coming off medication for her psychosis. It's unclear what the terminal outcome will be for any of these storylines, but we can't imagine Season 7 just hanging them out in a dry. And most importantly of all, Suzanne Warren is not to miss at any price whatsoever. Not to mention, despite, deteriorating mental, Suzanne is the only one who knows Taystee and Daya have been wrongfully accused of murder, which has made her even more of an ace hole in the story arc of Taystee and Daya.